Saturday, March 16, 2019 at Johnson and Wales University! We offer classes for students ages 6 and up and for all experience levels. 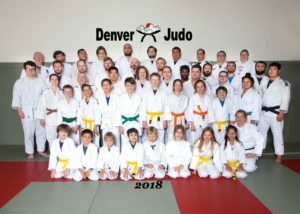 Denver Judo is lead by Scott and Heidi Moore, both 5th degree black belts, former elite athletes and USA Judo A-level coaches. 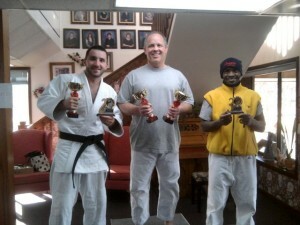 Our coaching staff includes more than a dozen black belt instructors, including several nationally ranked players. Classes are on-going and you can start any time. Come try a free introductory class! If you have any questions please contact us at 303.591.9563. 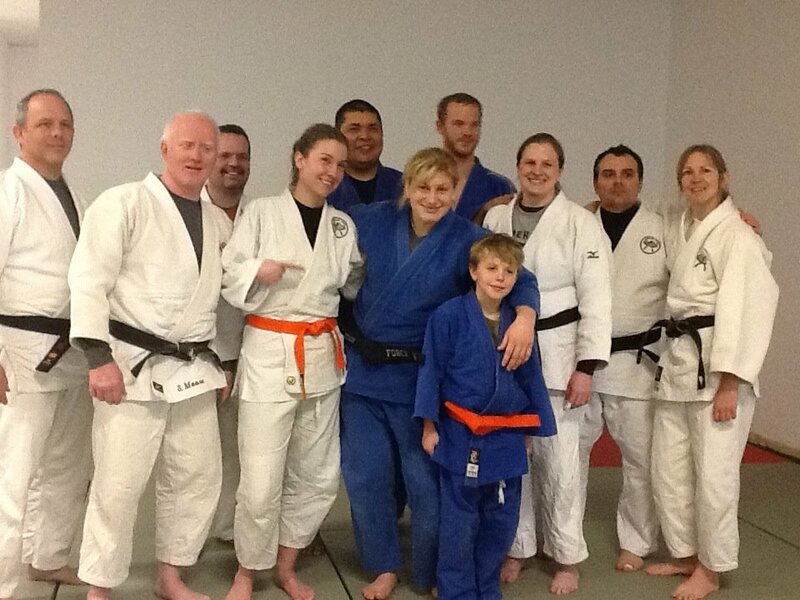 Our Youth Judo class is taught by Senseis Tracy Crawford (Yodan) and Nikki Alexander (Nidan). The class is open to kids ages 6 -12 years. Students begin with basic safety techniques (falling methods) and progress to throwing and grappling techniques. 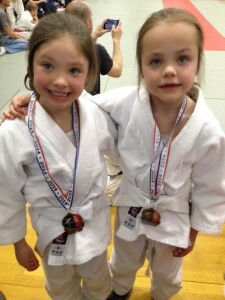 Students will participate in local and national tournaments and to test for advanced belt ranks. This unique class focuses on the competitive aspects of judo while instilling the values of self-confidence, coordination, respect, and discipline. Led by Senseis Kedge and Alyssa Zawack, this class is open to all levels. This class will introduce the basic techniques of judo, beginning with falling and progressing to throwing and grappling. Once basic skills are attained, students will be encouraged to participate in tournaments and join the competitive class. This class is led by 3 time Paralympic Medalist Scott Moore and 2 time Pan American and World Team member Heidi Moore. 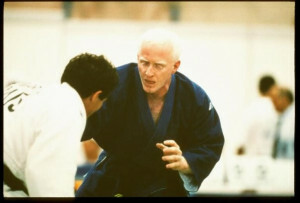 This class focuses on the techniques of competition judo with the intention of training participants for tournaments. This is a high-intensity class, so expect a hard workout. Participants are expected to participate in local and national tournaments, and will be offered the opportunity to test for advanced ranks on a quarterly basis. 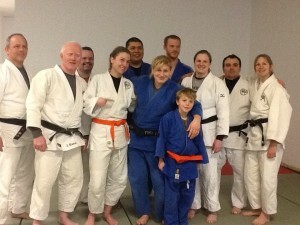 You do not have to have judo experience to attend this class. New students will be paired with a black belt instructor to work on fundamentals. Morning classes are led by Sensei Keith Lewis (Yodan) and are open to all experience and skill levels. Lead by Professor Andy Smith, a BJJ black belt under Jeff Curran with more than 10 years of training and Judo brown belt, our BJJ classes are included in your monthly fee! Classes are Fridays from from 9:30 – 11:00am and Tuesday and Thursday from 7:30 – 8:45pm. No-gi classes are offered Wednedays from 10:00am – 11:30am and Fridays from 5:30pm – 6:30pm with No Gi Randori Open Mat from 6:30pm – 7:30pm. Denver Judo is strongly involved with the US Paralympic Judo program and is happy to accept individuals with visually impairments. Judo is an excellent sport for the visually impaired and the blind, as it relies largely on one’s sense of touch, balance, and timing, and does not involve kicking or punching. Only minor modifications are needed to allow visually impaired individuals fully participate judo practices and tournaments. Our classes are open to visually impaired and blind individuals on a fully integrated basis. Please watch this video for more information on judo for the blind and visually impaired. Visitors are always welcome and we encourage you to try a free introductory class before you join! For more information contact us at 303.591.5963 or judoheidi@comcast.net.